Access to a custom portal where you can select from over 200 lessons regarding proven sales, business, leadership, and personal growth strategies and techniques. Unlimited access for your employees to a selected number of digital products. Train your employess to become an unstoppable, world-class sales force. 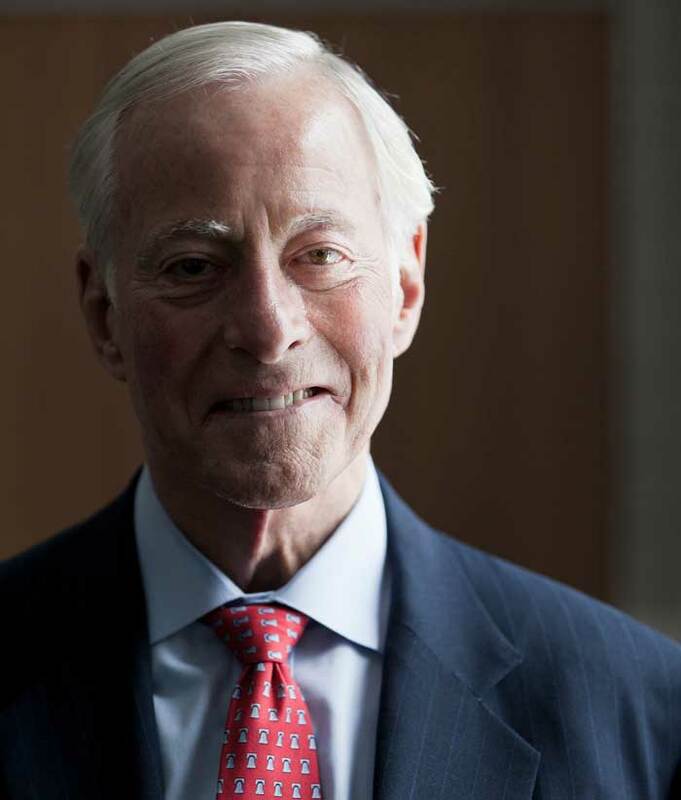 Partner with Brian Tracy to create the perfect strategy to assist you with your business goals. A customized portal where you can select from a library of over 200 lessons in the areas of Selling, Business, Leadership, Time Management, Personal Success, Sales Management and more. A customized portal where your employees can have unlimited access to download a select set of digital programs (ebooks, mp3s, online videos) for an agreed up on monthly fee. 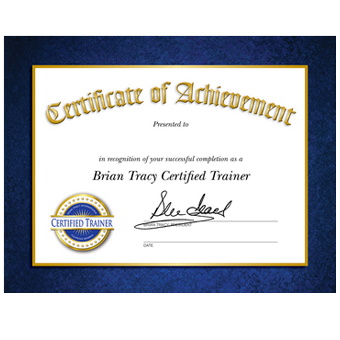 Brian Tracy has an extensive sales certification program and now has certified sales trainers throughout the world to teach the 8 hour Sales Success Intensive Live training course. 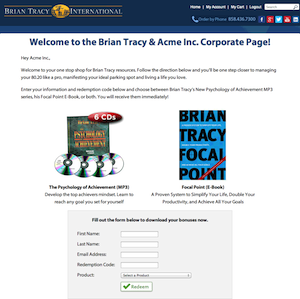 What if you had the ability to give away free targeted Brian Tracy content to your end customers? Would that help increase good will and/or engage a potential prospect? If so, then this may be the perfect fit for you. Let us team up with you to create the strategy to help you generate more leads and assist with your overall business objectives.